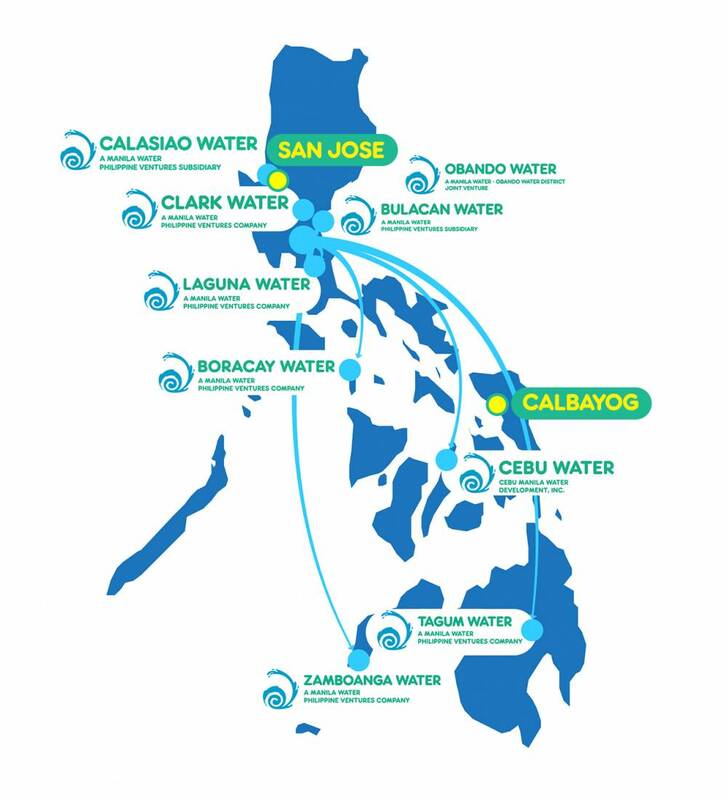 Manila Water bags San Jose and Calbayog deals | Manila Water Company, Inc.
Manila Water Company, Inc. has been awarded the contracts to provide water and used water services in San Jose City, Nueva Ecija and in the City of Calbayog, Samar. In a recent regulatory filing, Manila Water disclosed that the consortium of its wholly-owned subsidiary, Manila Water Philippine Ventures, Inc., and Tubig Pilipinas Group, Inc., (TPGI) had received the Notice of Award from the San Jose City Water District – Nueva Ecija (SJCWD) for the implementation of the joint venture project for the design, construction, improvement, upgrade, rehabilitation, maintenance, operation, financing, expansion, and management of the water supply system and the provision of water and sanitation services of the SJCWD in the City of San Jose. The project has an estimated capital expenditure program of over Php1.399 billion over a 25-year contract period and is estimated to have a billed volume of about 21 million liters per day by year 2025. The Company also disclosed recently that it had received the Notice of Award from the Calbayog City Water District (CCWD) for the implementation of an integrated water supply and sanitation project, which will be carried out under a joint venture framework. The contract covers the design, construction, rehabilitation, operation, maintenance, financing, expansion of the water supply system and the management of water and used water services in the city of Calbayog. A Special Purpose Vehicle (SPV) will be formed between Manila Water and local partner TPGI to implement the project with an estimated capital expenditure of Php1.16 billion under a contractual joint venture with CCWD over a 25-year period. Calbayog City serves as the commercial and industrial center of the province of Western Samar. It has a total estimated population of 194,000. As of 2017, CCWD has 13,097 water service connections, with a service coverage of only 32% and an effective water tariff of Php39.40 per cubic meter. The project has a potential billed volume of about 30 million liters per day.